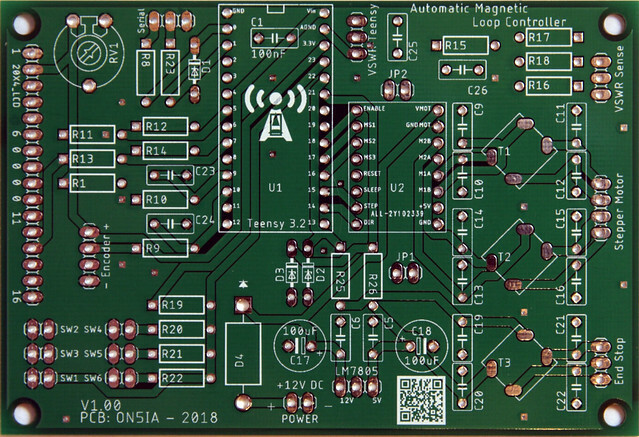 The fact that is was way easier to find good working A4988 or DVR8825 modules instead of the A4975 ic was the main reason why I designed my own PCB. In the past I’ve ordered a couple of boards from Loftur and followed the route to AliExpress, where I had to buy the IC’s in bulk. The results were various. Some IC’s were the real deal, some of them were knockoffs that seemed to work and others were just plain counterfeit and defective. All other components on my PCB have the same value and name as on Loftur’s PCB and BOM. All components you already bought can be (re)used. Except maybe the common mode chokes. I’m using CMS1-8-R on my PCB. These are available at DigiKey and Mouser, but you can also find equivalents on eBay. I’ll send you the details of the board by mail. What is the cost of complete kit in USD. I don’t have complete kits for sale. But I can give you some information on the cost. The link below is a link to a Mouser shopping basket, with all needed components (less components are needed if you use the A4988 PCB board). Total amount of this basket is around $117. To this add the price of the PCB and SWR Bridge kit, the screen bezel from DHmicro.com ($3,5 + shipping) and a LCD screen from AliExpress (+- $3) and you will end up around $160 for all needed components for this tuner. Savings can be made if you order some components on AliExpress, but you’ll have to wait much longer. Another possibility is to find other hams in your area that also would like to build this tuner. Electronic components tend to become a lot cheaper if you buy them in bulk. Can you send me information about how buy your PCB’s?